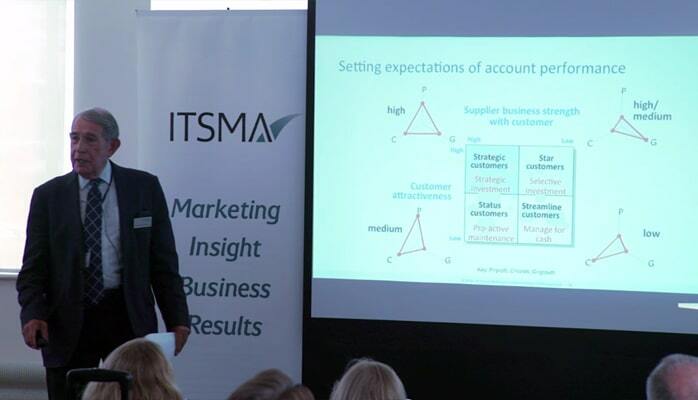 ITSMA’s recent Next Generation ABM Forum dug deep into the evolution of Account Based Marketing with a sellout crowd in London. With speakers and workshop leaders from Avanade, CSC, Fujitsu, Oracle, Demandbase, agent3, and MomentumABM, the delegates from a wide range of B2B technology and services firms discussed the emergence of three distinct types of ABM, current best practices, trends to follow, and next steps for companies looking to stay ahead of the crowd. Selecting the right accounts. Ideally no more than 20, and focused especially on long-term profit potential. Having the right account managers. Not simply sales people “with knobs on” (i.e., better at straight selling). Emphasizing joint value with customers. Not just focusing on what you want to sell. More generally, McDonald highlighted the rising sophistication of buyers and procurement teams and their search for differentiated value: “If we don’t know how to deal with them, we’re as useful as an ashtray on a motorbike.” He stressed the importance of financially quantified value propositions to take to the client (once again, if you don’t know how to create one, you’re as helpful as a “bird of prey with a squint”). And finally, key account managers need to focus on co-creating new types of value with their clients, not just responding to stated client needs with appropriate existing solutions. In all of these areas, ABMers can play a central role working hand in hand with their KAM counterparts. But how do you scale this kind of strategic ABM globally? Nicola Briggs from Avanade had advice for anyone trying to do just that, saying, “One size just doesn’t fit all.” What works for one account or account team won’t be right for another. Execution works differently in different countries and it’s essential to understand local skills, resources, and business environments in working with local marketers and sales teams on ABM. Reflecting on her experience running a global ABM program over the last several years, Briggs emphasized practical recommendations such as, “Try to avoid your account managers playing with your prioritization criteria so that their account makes it into the program,” and “Win trust quickly through strong execution.” Her key insight? Always find out how local sales teams are incented. If it’s on profit, they won’t want to contribute to the ABM budget. 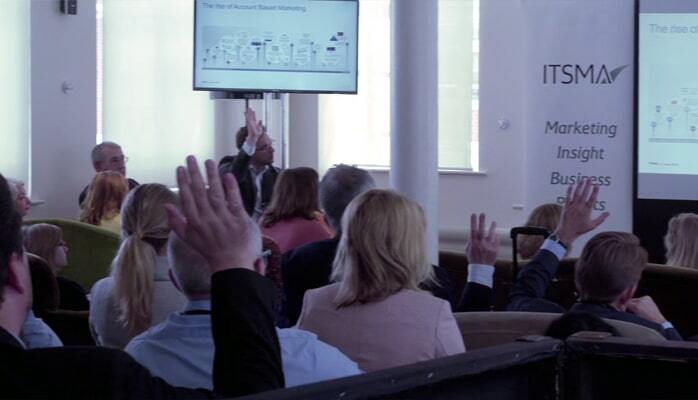 If it’s on great delivery, any service issue will take their attention off the ABM campaign. Discussing their approaches to ABM Lite (“one to few” programs focused on small clusters of similar accounts), Dorothea Gosling from CSC and Jacqueline Gummer at Oracle both stressed the importance of setting the right expectations. With fewer dedicated marketing resources per account, you can’t expect that ABM Lite will generate the same returns for each account as a true one-to-one Strategic ABM approach. On the technology side, “Start with basics and have the end in mind,” advised Gosling. Don’t buy the technology and expect the process to follow; do it the other way around. Both advised getting the process working and then investing in technology to scale. Asked about the use of buyer personas in ABM Lite, Gummer unequivocally stated, “It’s about people, not personas.” At the Lite level, you should still be able to do enough research to focus on specific, named individuals. But one of the challenges that remains is around creating the right content for a Lite program, which is why Gummer has the content remit as well as the ABM Lite one; they go hand in hand. Note: From an ITSMA perspective, we agree with the focus on named individuals in an ABM Lite program but also believe persona research can complement individual profiles with insight into issues and decision criteria. The caution about technology is perhaps especially true at the Programmatic ABM level, where marketers take an account based approach to hundreds or even thousands of named accounts. As Chris Golec from Demandbase explains, technology is available now to make sure you’re not wasting your campaign dollars targeting your mum (it happened to him early in his career!). To make the best use of the technology, though, Programmatic ABM requires a clear, integrated strategy and plan for identifying the accounts you care about, generating awareness in them, engaging with them through your website, converting opportunities that arise, and continually building your insight into the individuals and companies you’re targeting. At its most mature, it involves shared metrics and goals across teams, targeting based on attributes, and engaging through the funnel to drive up deal sizes, close rates, and client retention. Tools such as the Demandbase B2B Marketing Cloud play a central role in enabling effective Programmatic ABM, but the strategy still comes first. Next Gen Technology: Technology will continue to evolve, blurring the lines between different types of ABM. ABMers will increasingly apply tool-based, programmatic tactics to Strategic ABM and ABM Lite initiatives while leveraging technologies to scale the principles of strategic ABM through Lite and on into programmatic. Eventually, we’ll all have intelligent ABM assistants* (I’m going to call mine Watson). ABM and KAM: In the most strategic accounts, ABM will further overlap and integrate with key account management and play more innovative roles as they work together to find ways to co-create value with the client. Lifetime Account Value: From a metrics perspective, we’ll increasingly shift focus from maximizing near-term revenue and share of wallet to maximizing share of mind and the lifetime value of our most important accounts. Just as marketers generally aim to create shareholder value by building brand preference and goodwill (i.e., relationships) at a market level, ABMers will apply the same thinking to a company’s most important accounts. It’s going to be an exciting journey! Help us shape it by getting involved with ITSMA and deepening the ABM conversation. And let us know what you think is next. *P.S. As a follow up to the Forum, Chris Golec from Demandbase emailed us to confirm our first prediction, announcing he had acquired data science company Spiderbook to bring artificial intelligence into the world of ABM. Subscribe to our newsletters and alerts for ITSMA blog posts, research publications, events, and more.